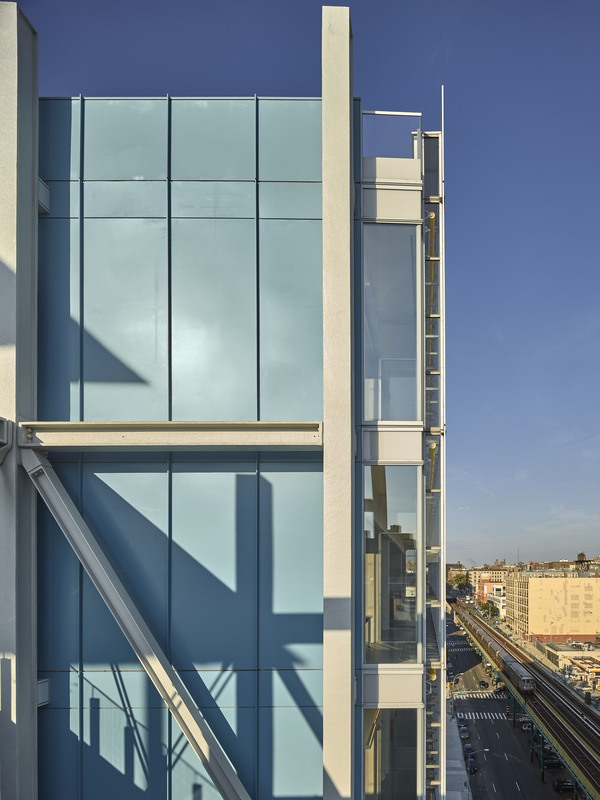 The Jerome L. Greene Science Center was conceived as a hub of ideas where modern architecture would be a catalyst for cutting-edge science and research. That vision was made a reality in 2006 through a transformational gift from Dawn Greene when she pledged $250 million dollars through the Jerome L. Greene Foundation to build the Greene Science Center. Honoring the legacy of her husband Jerome L. Greene, a Columbia alumnus, philanthropist, investor and humanitarian, at the time it marked the largest private gift received by an American university for the implementation of a single facility. 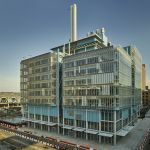 Beginning June 15, the Emmy-Award winning series, Treasures of New York, will take viewers inside the recently completed 450,000-square foot, state-of-the-art glass and steel research center, designed exclusively to be the home for Columbia’s Mortimer B. Zuckerman Mind Brain Behavior Institute, in the new film Jerome L. Greene Science Center. 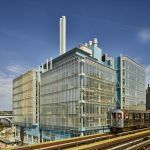 Designed by Pritzker Prize-winning architect Renzo Piano, the building which rises 9 stories above Columbia’s new 17-acre Manhattanville campus will house more than 50 laboratories and some of the world’s leading neuroscientists, including two Nobel Prize winners. 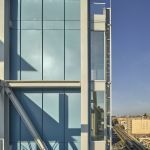 The new building will serve as the home to over 800 scientists and researchers, from undergraduate students to world-renowned specialists, working across various disciplines to collaborate and advance the field of neuroscience. 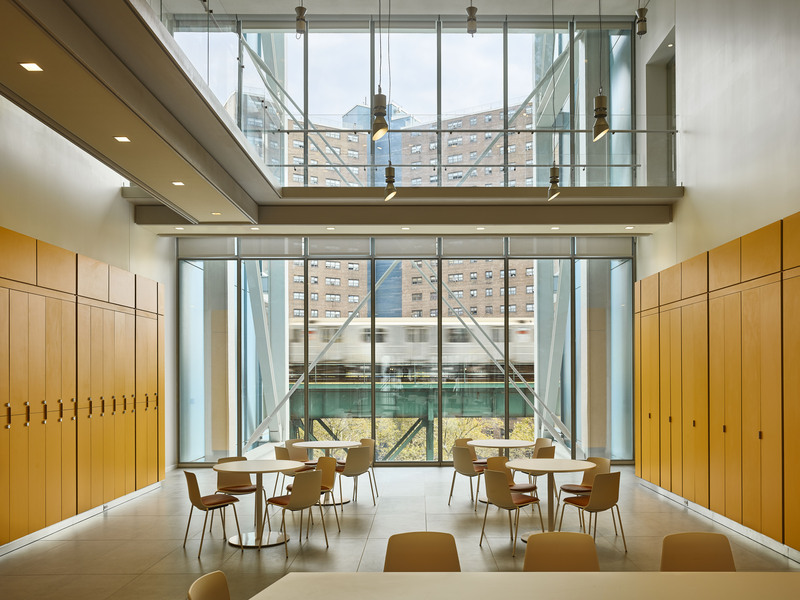 The film also explores some of the ways the University and the building’s designers have planned to welcome and engage the surrounding West Harlem neighborhood, including a community education lab, wellness center and spaces that are open to the public. Tracing the project from a visionary idea and ambitious plan through the innovative design process, the new documentary Treasures of New York: Jerome L. Greene Science Center – premiering on Thursday, June 15 at 8pm on WLIW21 and Sunday, June 18 at 7pm on THIRTEEN – explores the building that represents a new age of dynamism for the historic Ivy League university, and an important resource for and investment in its Upper Manhattan community. 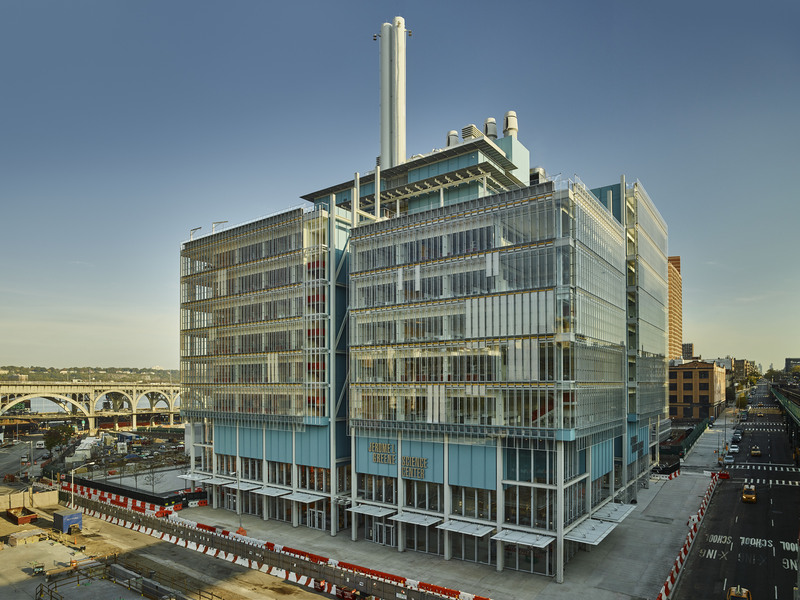 Designed as a reflection of Manhattanville’s industrial history, the innovative new home of Columbia’s Zuckerman Institute is conceived as a space to revolutionize the study of the brain. Following the broadcast, the film will also be available for online viewing at wliw.org/treasures. Treasures of New York details the unique engineering process that resulted in a facility New York Magazine dubbed “a triumph of postindustrial classicism by the ultimate deluxe architect.” Design for the Greene Science Center was approached specifically with Columbia’s scientists in mind, boasting ingenious elements including a custom-designed “double-skin” facade, which nearly silences the noise from the adjacent number 1 Subway line above Broadway. 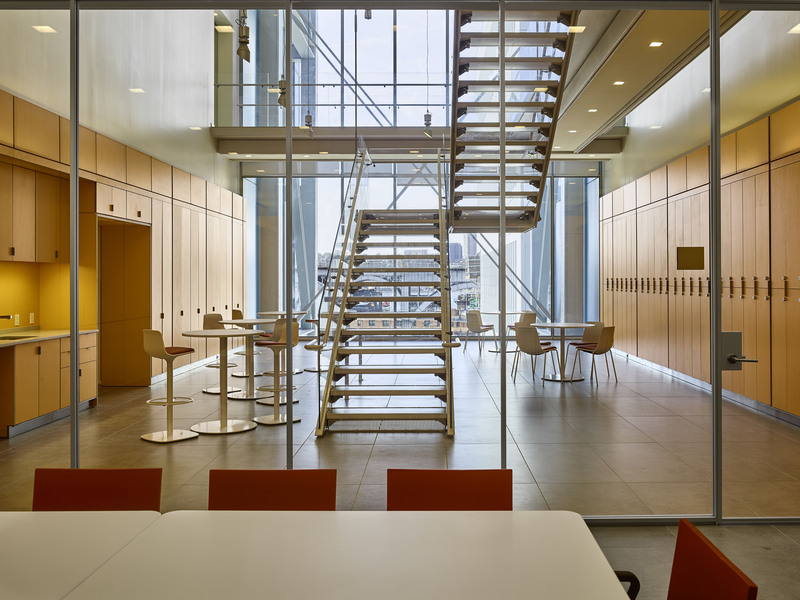 The interior layout pays close attention to creating spaces that encourage collaboration among scientists at the intersection of many different fields. 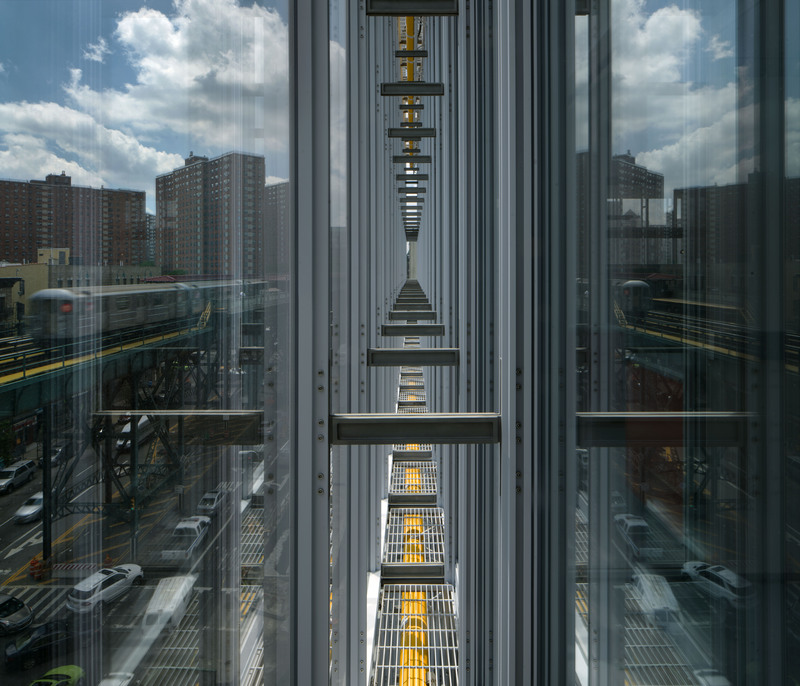 The result is a space that will foster extraordinary potential for discovery. Treasures of New York: Jerome L. Greene Science Center features interviews with Columbia University President, Lee Bollinger; Renzo Piano, Chairman & Founding Partner at Renzo Piano Building Workshop; Eric Kandel, MD, Nobel Laureate and Co-Director of Columbia’s Mortimer B. Zuckerman Mind Brain Behavior Institute; Richard Axel, MD, Nobel Laureate and Co-Director of Columbia’s Mortimer B. Zuckerman Mind Brain Behavior Institute; Thomas M. Jessell, PhD, Co-Director of Columbia’s Mortimer B. Zuckerman Mind Brain Behavior Institute; Vice President of Manhattanville Development Group, Marcelo Velez; Antoine Chaaya, Partner at Renzo Piano Building Workshop; Rudy Behnia, PhD, Principal Investigator at Columbia’s Mortimer B. Zuckerman Mind Brain Behavior Institute; Kelley Remole, PhD, Director of Neuroscience Outreach at Columbia’s Mortimer B. Zuckerman Mind Brain Behavior Institute; Daphna Shohamy, PhD, Principal Investigator, Columbia’s Mortimer B. Zuckerman Mind Brain Behavior Institute; and Curtis Archer, President, Harlem Community Development Corporation, among others. 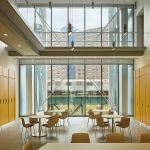 Treasures of New York: Jerome L. Greene Science Center is a production of WLIW LLC in association with WNET. WNET is the parent company of WLIW21 and THIRTEEN, New York’s public television stations and operator of NJTV. For Treasures of New York: Jerome L. Greene Science Center, Mary Lockhart is executive producer. Ann Benjamin is director. Ally Gimbel is writer and senior producer of the Treasures of New York series. Diane Masciale is vice president and general manager of WLIW21 and executive producer of local production, including the Treasures of New York series. 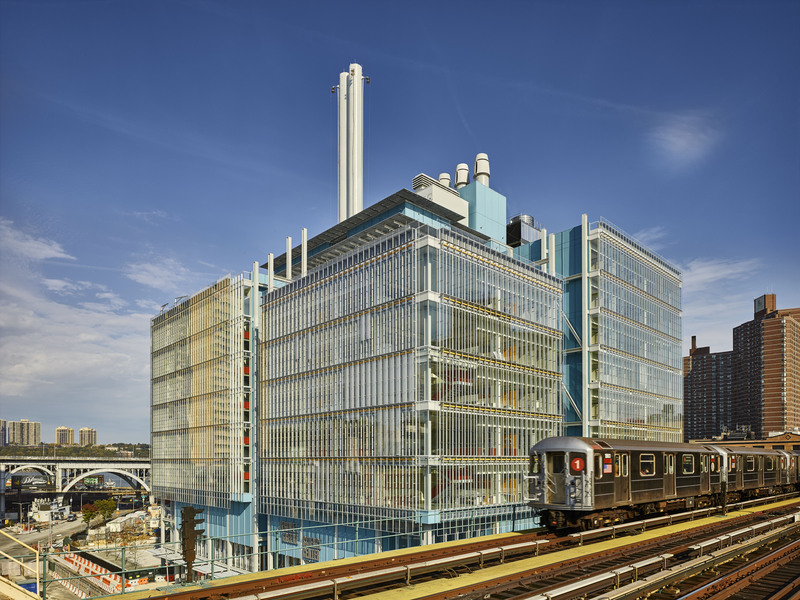 Funding for Treasures of New York: Jerome L. Greene Science Center is provided by The Metropolitan Media Fund.